Let this Wednesday bring more special moments and joyful memories to you and your dear ones for free. 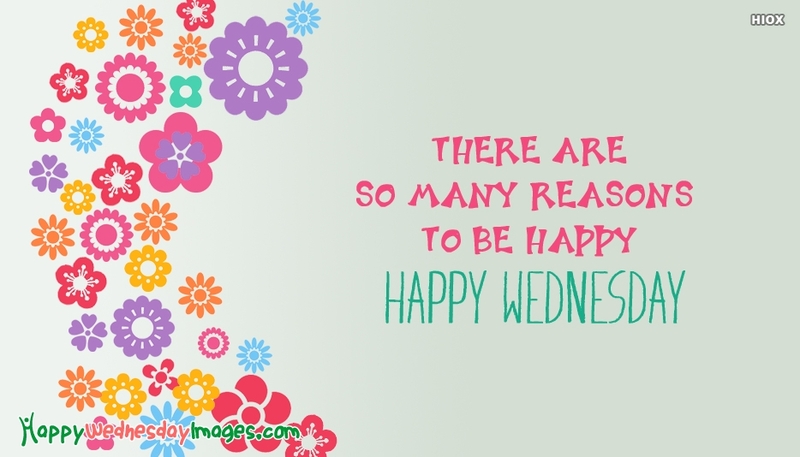 Share this happy wednesday picture for free via social networking applications. The picture portrays the image of colourful flower designs which gives a pleasant feeling of happiness and joy. Share and care for free via this "There Are So Many Reasons To Be Happy. Happy Wednesday" picture.